Eyes are the first feature I usually noticed on someone's face at a first meeting. Eyes can be a powerful tool for attraction, especially when ladies sparkled with stunning lashes. Many girls would extend their lashes to make their eyes look beautiful. Now, I don't know much about fake eye lashes, but I do know that the conventional method is gluing the false lashes along the eye lining. However, I reeaaaaaally hate it when girls have very unnatural looking lashes. Not only it's not attractive, it can sometimes scare people way. Thanks to the advancement of technology, there are now alternative and better ways to have long lashes without being called "fake". Recently, YYC's Lola Lash Bar opened its second location at McKenzie Towne, Calgary. 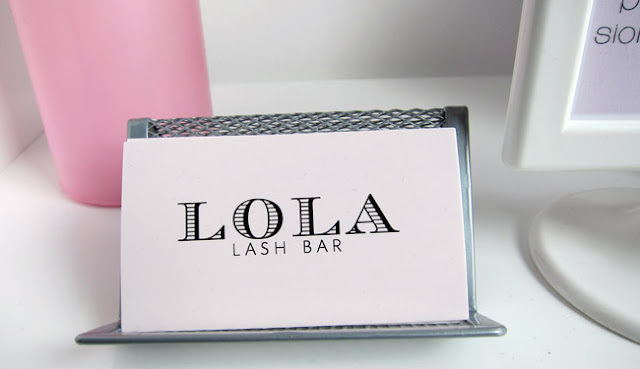 Lola Lash Bar is Calgary's first lash bar dedicated to only eyelashes. With the success of the first store in downtown location in the city, owner Anna Maria wanted to cater clients who live in the deep south far from inner city. The lashes they provide are synthetic, but require skilled eye-lash technicians to professionally (one-by-one) apply them to your natural eye-lashes using a formulated bonding agent. This method makes eyes look rather more natural and convincing. Anna said the synthetic lashes will usually last about 2-3 weeks, and the bar does offer touch up in between process. 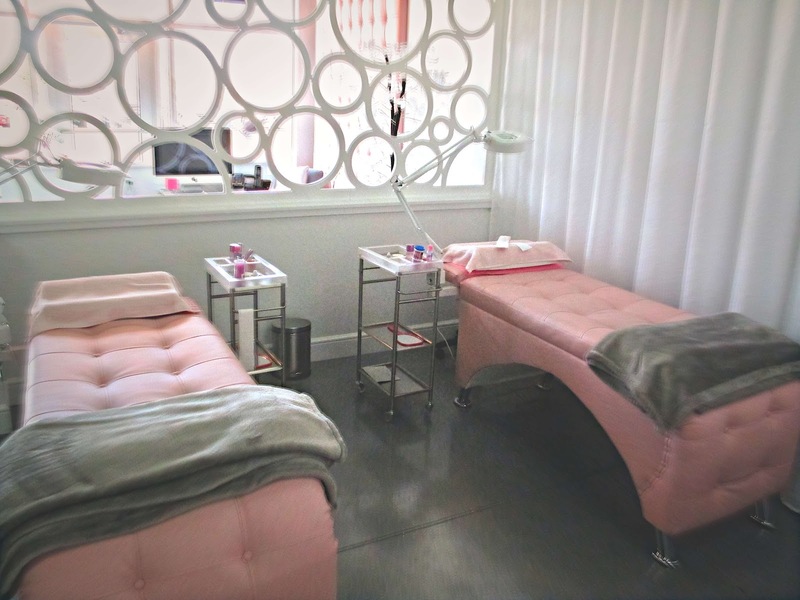 In addition to synthetic lash, the bar also offer basic lash perm, lashdip, and even mobile services to your home (within the city limit of course). 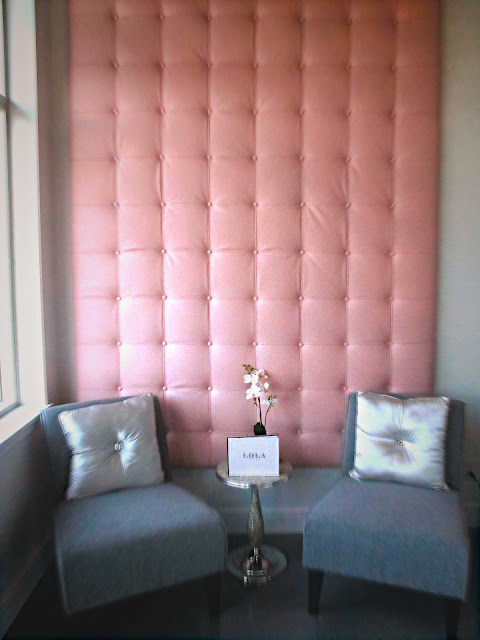 The new Mckenzie Towne Lola Lash Bar decor uses a soothing pink theme, along with simplistic contempoary decor adds an elegant fashion. 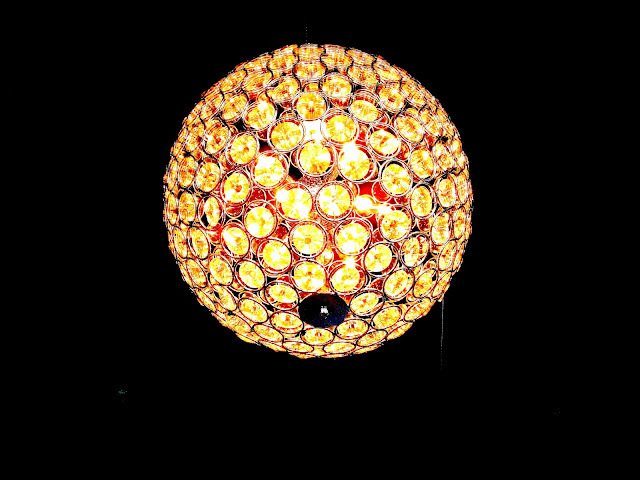 I am sure the clients would feel relaxed and comfortable during the service. It gives me a very calm vibe when I walked in, and I do love the European feel it has. The prices are very reasonable considering the amount of time/ and expertise it requires to apply synthetic eye lashes, which is about $90 for a full-set. 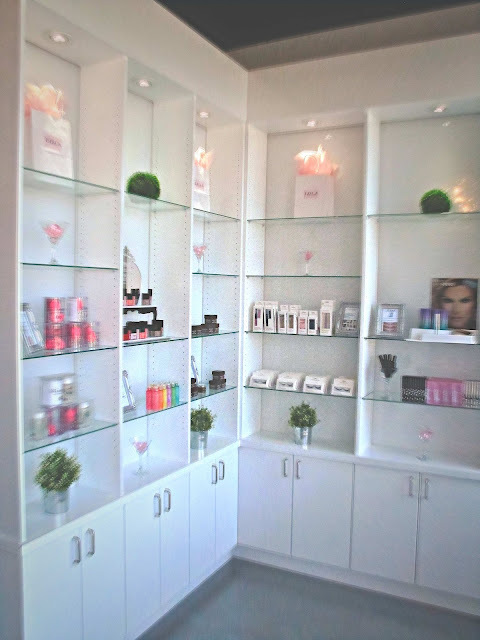 Lola Lash Bar Mckenzie Towne location address: 23 McKenzie Towne Ave SE, Calgary, AB. So ladies, here's the deal: Lola Lash Bar decides to give a $100 value gift certificate to give to one of Binzento Vincente readers. For more details: Please check my Facebook page HERE.